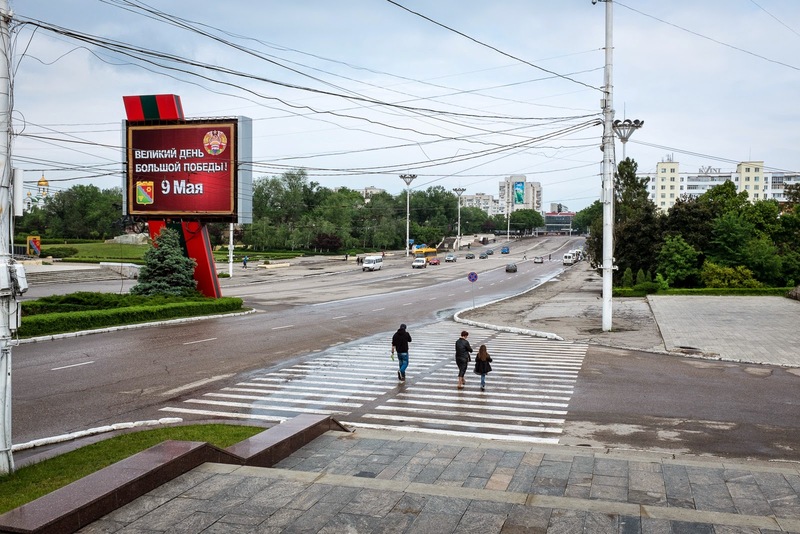 Yesterday, we traveled back in time to the U.S.S.R. Next door to Moldova, Transnistria has continued life almost as if the Soviet Union still existed. Pridnestrovian Moldavian Republic (PMR) Transnistria is not recognized by any government not even Russia. Google Maps does not recognize Transnistria. If you search for the city of Tiraspol, the search will come back showing Tiraspol in Moldova--not Transnistria. Transnistria has wineries and a cognac factory (Kvint), and while the products are grown/manufactured in Transnistria, the bottles say Tiraspol, Moldova. When there was a Soviet Union, Transnistria was part of Moldova. In 1990-1992, there was a civil war between the two regions. Since Transnistria won that fight, it broke away. 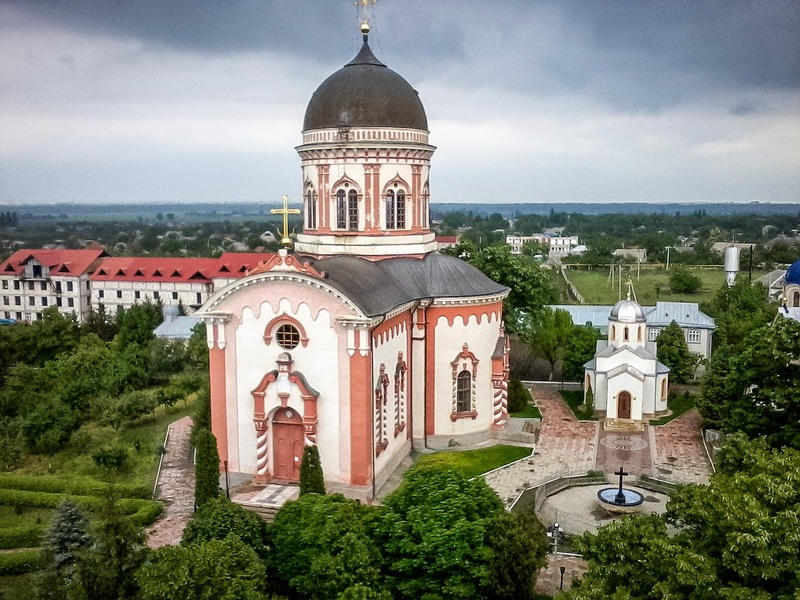 When we got to the border between Moldova and the break-away region of Transnistria, we passed easily through Moldova customs, but Transnistria was another story. Our guide, Nelea, took our passports to the Customs kiosk while we stayed in the car. Because we were Americans, the border guard came back to check us out. She asked if we had cameras and wanted to see them. Because to her they (we each had one) look to be "professional" cameras and I had a tripod, they thought we were undercover journalists. Journalists must have special permission to enter Transnistria. She went back to the kiosk and made a phone call. After about 30 minutes, she returned to us and said we must leave the cameras/tripod behind with the Moldovan Border guards before we could be allowed into glorious Transnistria. So, Nelea our guide/driver/interpreter turned the car back toward Moldova (really just a few feet away), and prevailed upon one of the Moldovan border guards to keep my backpack with thousands of dollars of camera equipment, my tripod, and Dan's camera in his car while we journeyed back in time. With the camera stuff stowed at the Moldovan border, we turned again toward Transnistria. We did not sail through this time either. We had to go into the Immigration kiosk and show our passports. The guard did a lot of checking of databases or punching keys on his computer, asked for my father's name, produced an "ID migration card" with my name spelled phonetically, and then went on to work on Dan's entry. 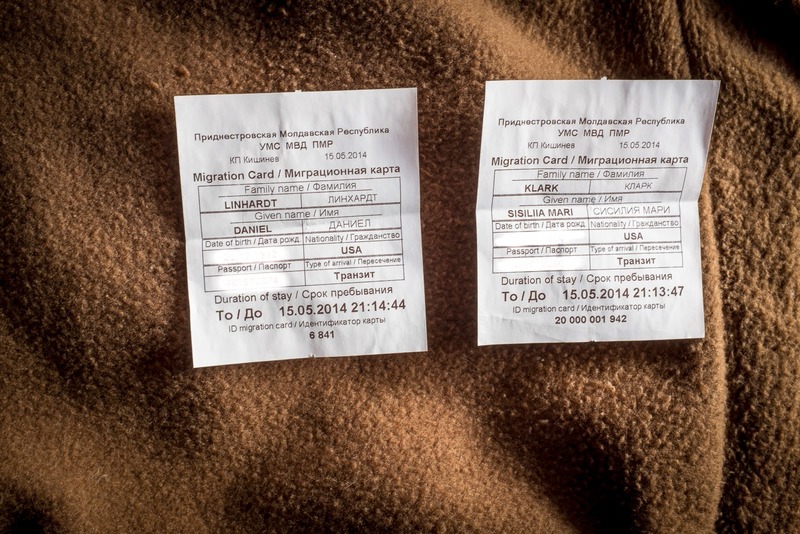 Transnistria is not allowed to stamp passports (because they are unrecognized as a country) so we each received a slip of paper that is the immigration card. This card must be turned in at the border upon departure. Finally, we were on our way across the Transnistria border and past the Russian peacekeepers who have been stationed in Transnistria since the 1990-1992 war ended. There are about 1000 Russian peacekeepers in Transnistria. Although the Nikons were back at the border, we weren't completely without the ability to take photos. I still had a small camera and we both had cell phones. The first stop was Bender Fortress which was built by the Ottomans in 1530. The most interesting part of it is that it was the first building designed by Sinan. He went on to design many of the great buildings in Istanbul. Our fortress guide was dressed in a very Soviet style belted trench coat. She spoke English and was quite knowledgeable about the fortress. She is ethnically Russian as are most of the residents of Transnistria. As an indication that things are not so good "back in the USSR", her husband is working in Canada and she hopes to join him there someday. 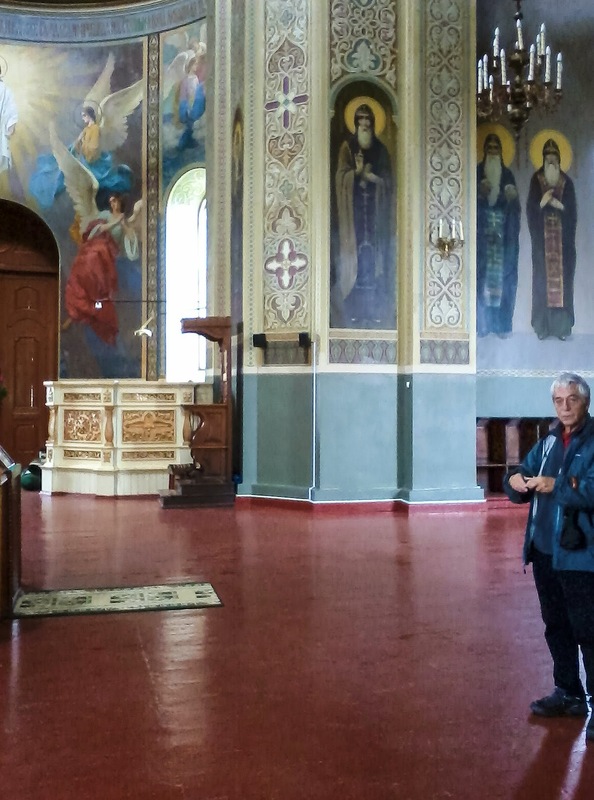 Jobs are few in Transnistria. This is where Russia put most of the factories, but since the breakup, most do not operate. 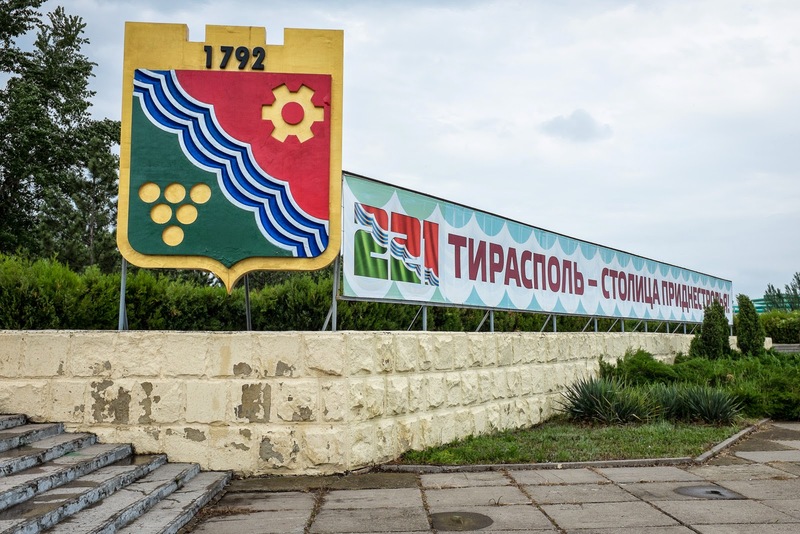 In order to sell anything in Transnistria, the government of Transnistria must first set the price which is kept artificially low making it impossible for citizens to earn much of a living. That said, the prior president seems to own everything. His company name, Sheriff, is on all petrol stations, grocery stores, the sports stadium, the sports team. Part of the tour included a row of busts that our guide referred to as the Russian pantheon. 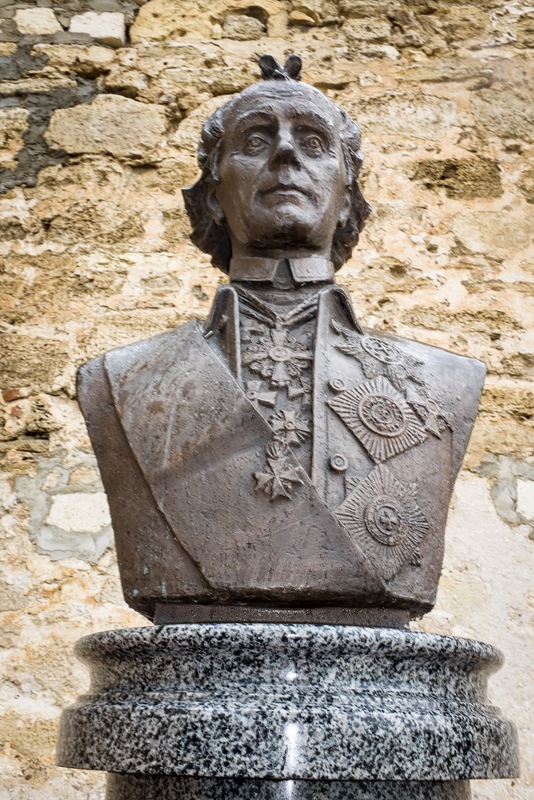 One of their greatest heroes is Suvorov the founder of the modern-day capital of Transnistria. The little thing on the top of his head is the result of a serious comb up/over beginning down by his ears and ending in two rows of curls at the top of his head. 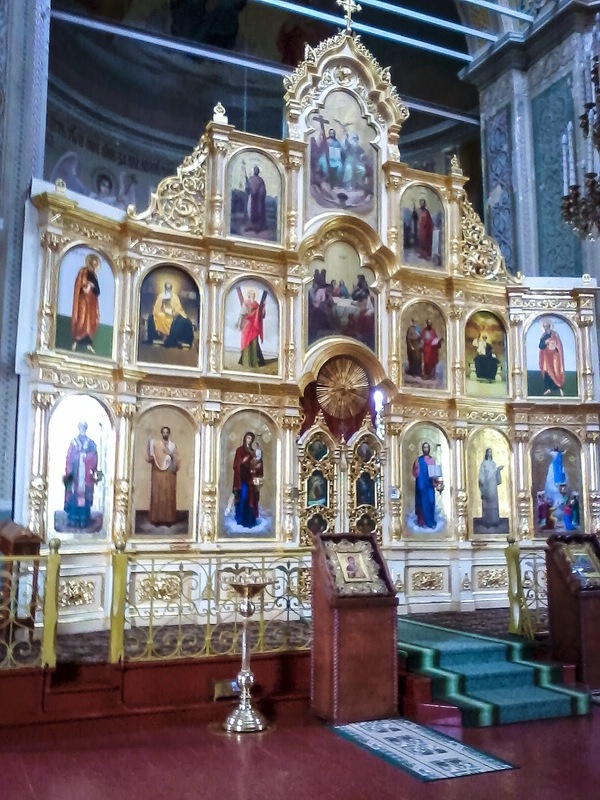 Our next stop was at Noul Neamt Monastery (established by Neamt Monastery in the Moldovan part of Romania) for lunch and a tour. The battery on my back up camera was about to die, so the monastery photos were taken with my cell phone. I saved what was left of the battery for Tiraspol. Traditionally, the monks eat a simple meal twice a day. We ate what the monks eat--a rather spartan lunch. 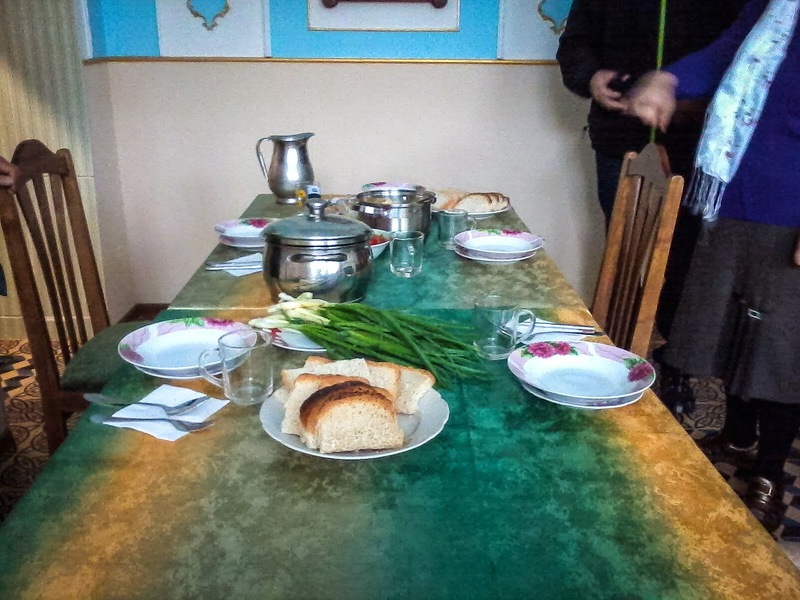 Everything that was served was produced at the monastery: homemade bread, spring onions, a noodle soup, fried potatoes with fish. The monastery is celebrating its 150th anniversary this year. 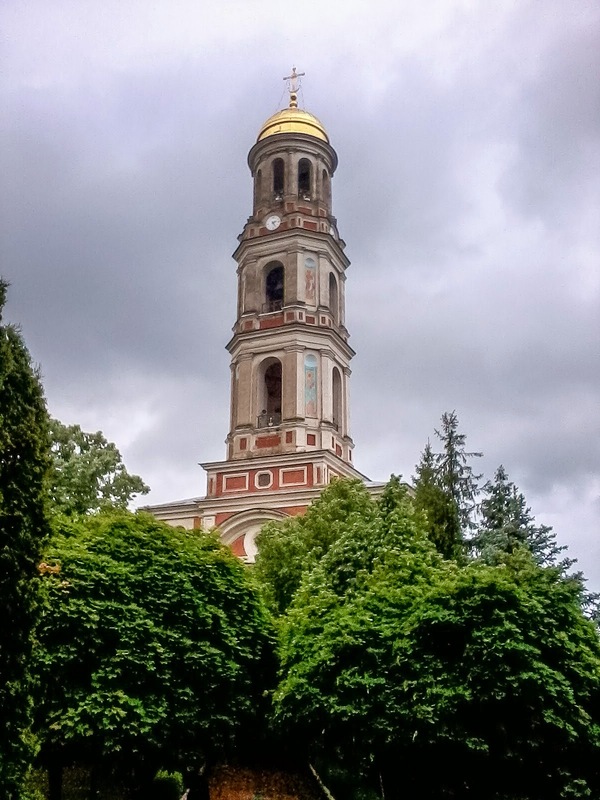 During the Soviet years, the monastery was converted to a hospital. It suffered considerable damage from the 1990-1992 war. 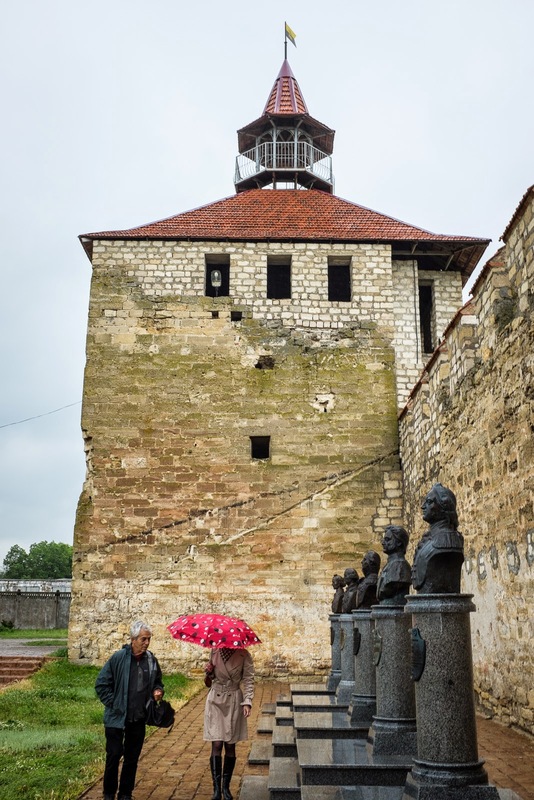 Showing no belief in karma, the soviets built houses on top of the monastery's cemetery. 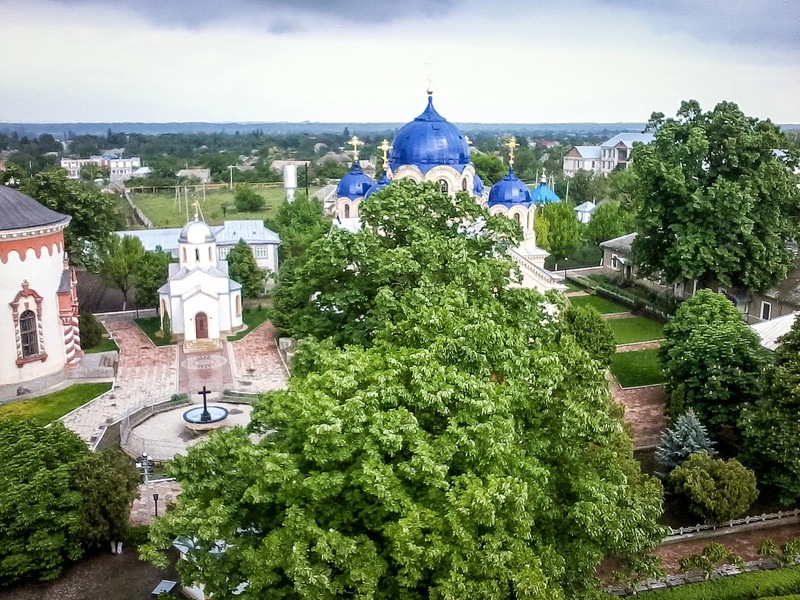 The monks are Moldovan. After lunch, we drove into Tiraspol, the capital of Transnistria. Even though we went to the very center of Tiraspol, there wasn't much traffic or pedestrians on this Thursday afternoon. 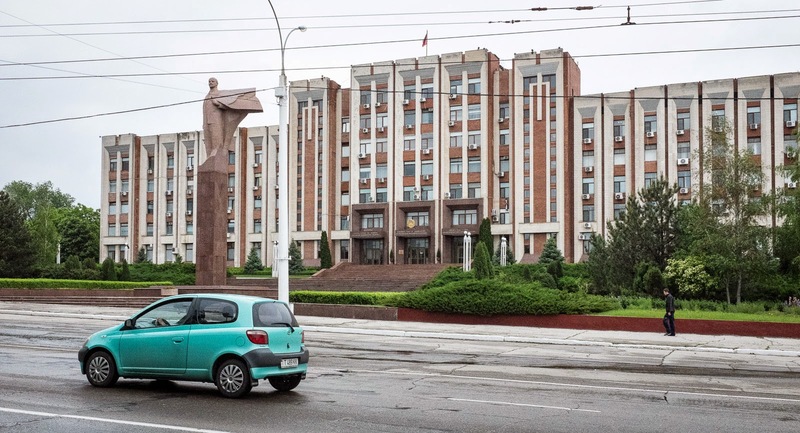 We took a photo of the large Lenin statue in front of an administrative building that isn't supposed to be photographed. Tiraspol boasts three statues of Lenin. Several war memorials stand across the street from the administrative building. 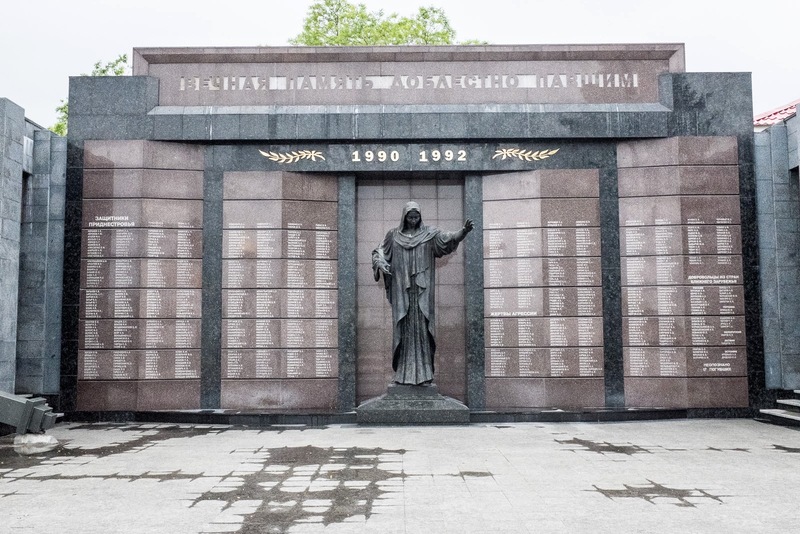 The first memorial is to those who died in the 1990-1992 war to separate from Moldova. 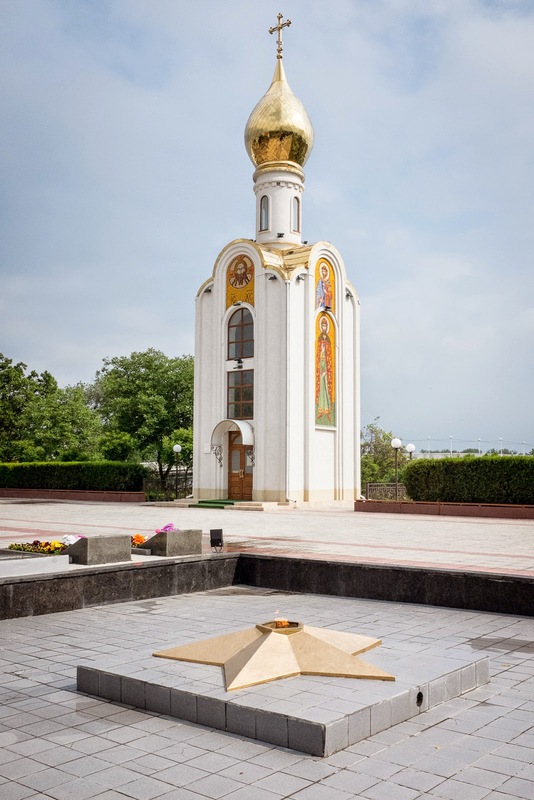 There is also a memorial to those who died in the war the Soviet Union fought in Afghanistan. 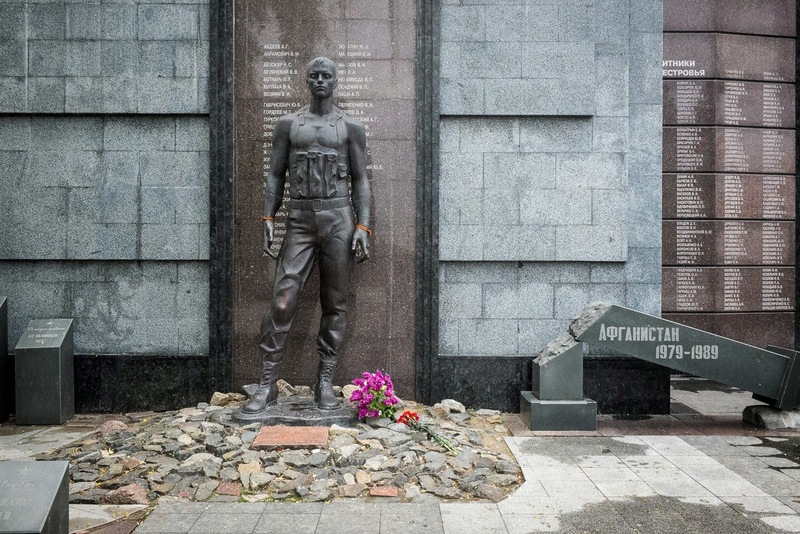 The soldier in the memorial has the orange and black Ribbon of St. George tied on both wrists. 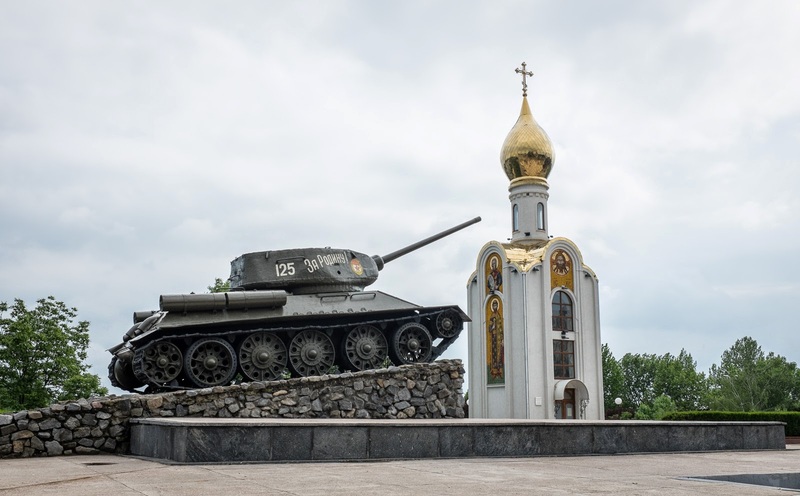 There is also a tank, a small chapel and an eternal flame. Although it was several days after the May 9th celebration, the electronic sign was still flashing "Great Day Big Win 9 May" in cyrillic. 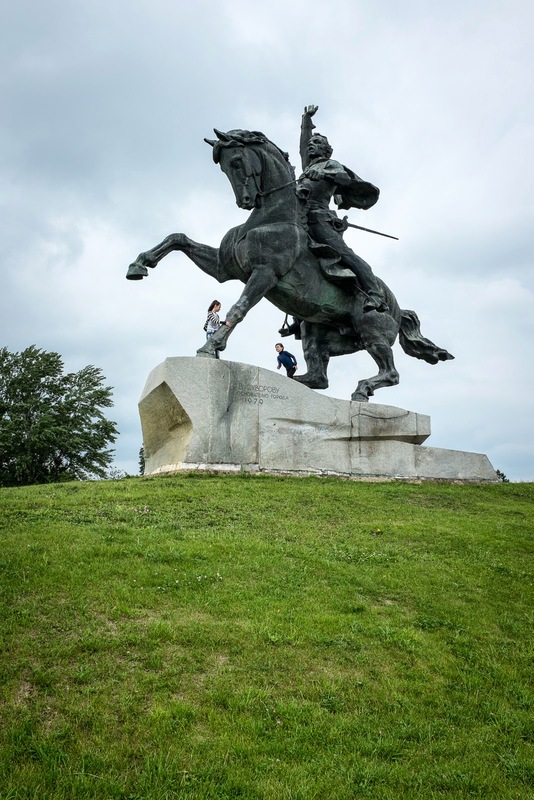 There is a statue of Russian general Alexander Suvorov on a horse. Suvorov founded modern Tiraspol in 1792. 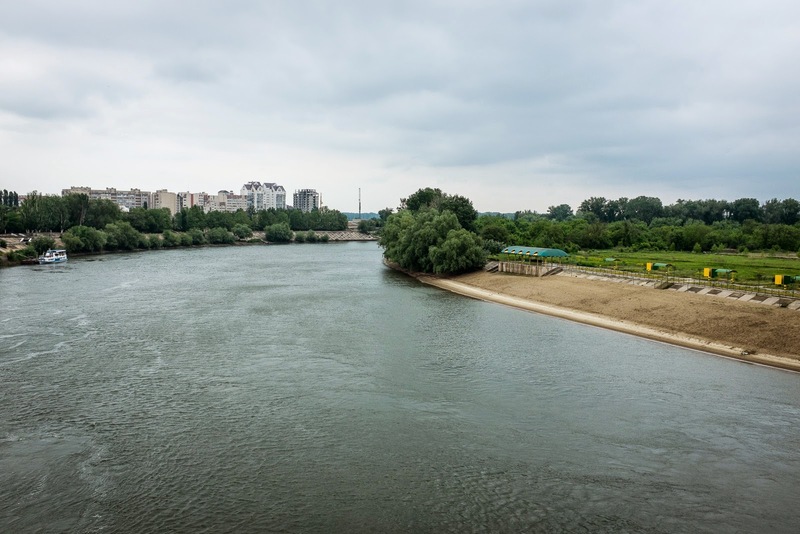 And, a small beach along the Dniester River. That's kind of it for the downtown of Tiraspol. The only souvenirs we obtained were Transnistria coins and a one ruble note. Back at the border, we turned in our immigration cards and waited for the Transnistria guards to release us back to Moldova. Once back in Moldova, we reclaimed our camera equipment and thanked the border guard who helped us out. It was a strange, interesting day. I do imagine going to Transnistria is stepping into a time warp. Your smartphone takes better photos than mine. Was it worth the border hassle to go? Since we were so close, yes it was definitely worth going.